TGIF friends! Friday sure came around a bit quicker this week, yet the week seemed kind of long at work! 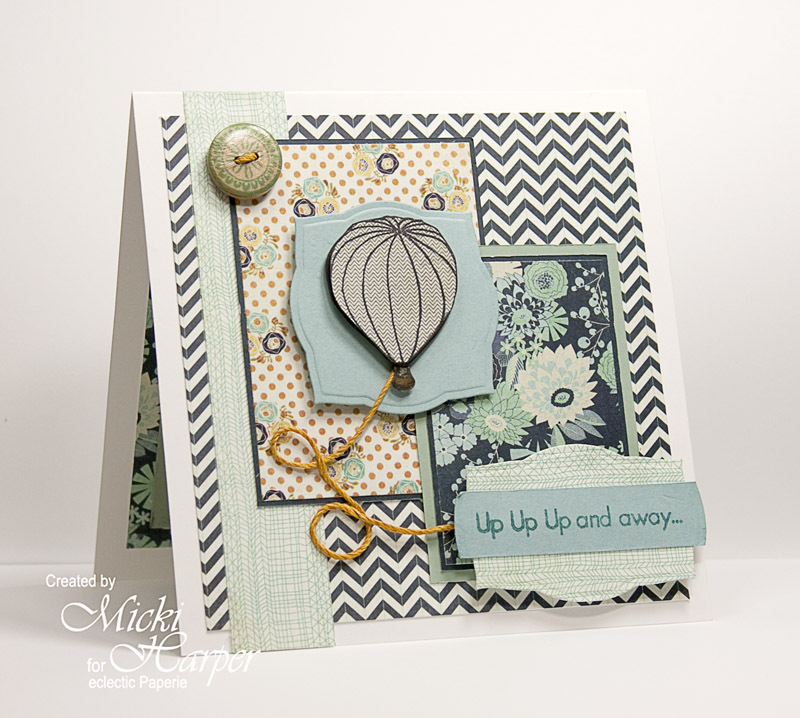 Micki here to share a quick card. 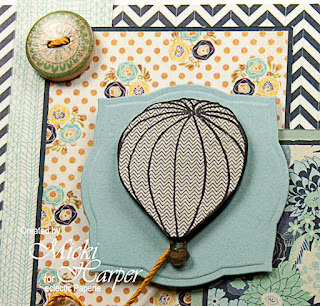 I have been wanting to play with the Old Fashioned Afternoon stamp set from the Sweet Stamp Shop and knew I wanted to do some paper piecing with Basic Grey's PB&J 6x6 paper pad. 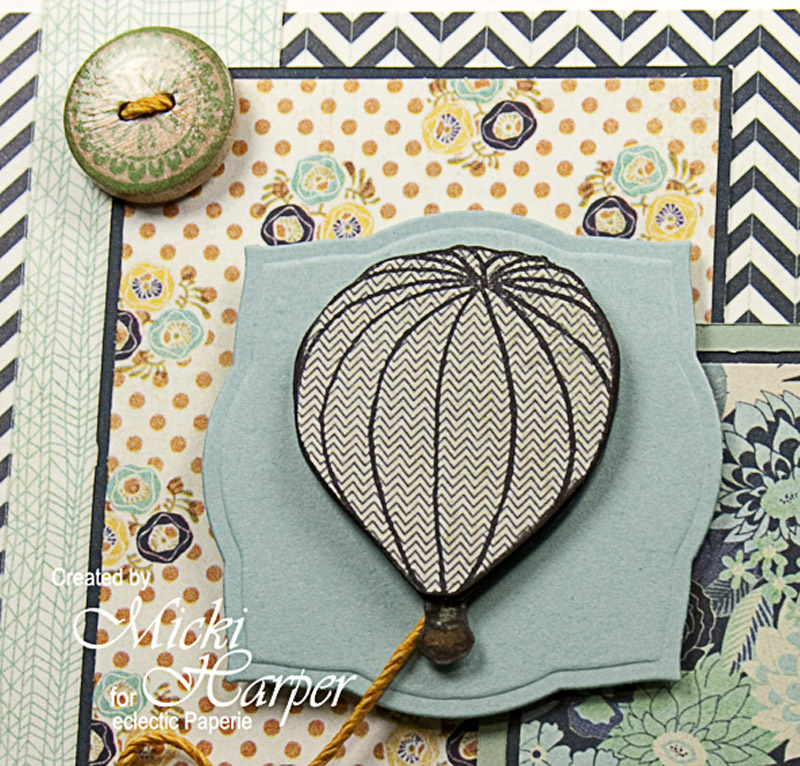 I stamped the balloon once onto the pattern paper and again onto the card stock. 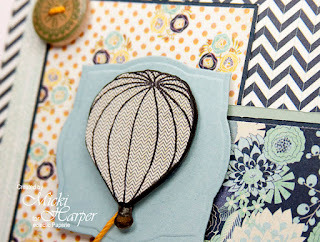 The complete air balloon was cut out from the card stock but I only cut the top part of the balloon from the pattern paper. I like to use Inkssentials Glue N' Seal for paper piecing. It allows me a little time to move the paper to ensure that I align it correctly. After gluing the paper piece to the card stock piece, I use a black copic marker to go around the edges which blends everything together and adds some depth. The trick when using markers is NOT to let the tip of the marker linger to long in one spot or the ink will bleed (voice of experience talking here :-). This Sweet Stamp Shop set is quickly becoming one of my favorite sets! And when paired with the gorgeous Basic Grey papers and coordinating embellishments..... you can't go wrong! I hope this inspired you to sit down this weekend and create! 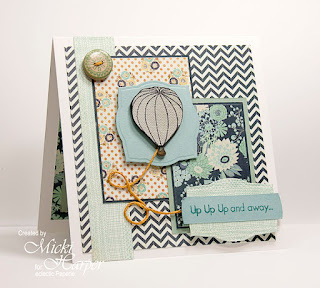 Sweet card Micki and I do so love those wooden buttons! wow, really great colors and paper piecing. Don't you just love those buttons!!! Cute card, loving that color combo !